Boot Scraper’s keep the outdoors, outdoors. Barn World now carries boot scrapers from Scrusher to keep your outdoors from coming indoors! Stop the dirt before it gets into your house, business or vehicle! 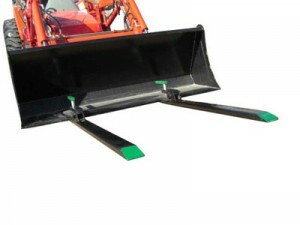 The SCRUSHER® will remove dirt, mud, snow, slush and grass outside, not inside. Making your floors and shoes cleaner! These boot cleaners are great for keeping clean. Spend your time doing the things you want to do! Reducing your house work is simple and easy with the SCRUSHER®. There is no assembly. You take it out of the box and it is ready to go! What could be easier than that! SCRUSHER® is the Original! The original golf SCRUSHER® is the one you see at golf courses all over the world! You can now have that same quality at your home, farm or business! Every home, farm and business should have a SCRUSHER®. 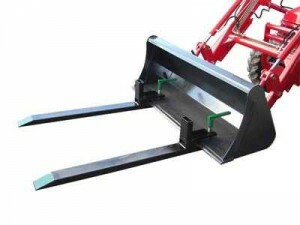 Head to BarnWorld.com to see all the different SCRUSHER® models. There is certain to be a model that meets your needs and fits in with your environment. Call it a boot cleaner, a boot scaper, a shoe cleaner or a boot brush, just call it a Scrusher! Get the Original. Get a SCRUSHER®. 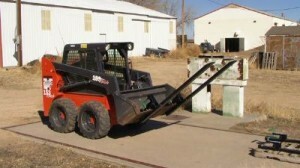 Now Barn World and BarnWorld.com carries more than just your livestock supplies and livestock equipment needs. We now carry everything from cattle guards to saddle pads. Visit us today for all your farm and ranch supplies and livestock needs! To quickly and easily add the functionality of pallet forks to bucket without the hassle of changing the bucket or the expense of buying another implement, get a pair of bucket pallet forks from Barn World, your livestock equipmentheadquarters. Campfire Rings add a campfire anywhere! Barn World has just added a fun product to it’s farm and ranch supply website. The new campfire rings make it easy to add a campfire. Fire rings are ideal for camps and campgrounds near cabins, in backyards almost anywhere. There is no hardware needed to install, just toss on the ground, build your fire an enjoy. 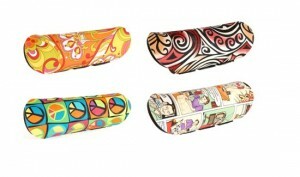 It easily dismantles into two pieces for easy transportation and storage and includes a great steel poker. At 36″ in diameter and10″ high, it’s the perfect size for any camp fire. This sturdy ring is made from 12-guage steel and may be personalized with any two characters! For outdoor fire rings, these are the most decorate and highest quality for any outdoor fire. 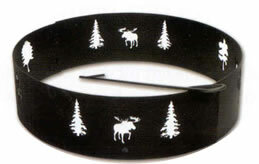 You may choose from two designs: The Deer, Pine and Oak campfire ring design, or the Moose and Tree fire ring. We also offer the option to personalize your fire ring with your initials or any two characters you desire. These fire ring also make a great unique gift that may be personalized for anyone on your list. Be sure to check out BarnWorld.com for all of your livestock equipment and livestock supply needs as we continue to expand our product lines in everything from equine supplies like our popular 5 Star saddle pads to our large selection of cattle guards.